Just Jingle: Dream Then Do - CFS Release Week with Discount and Giveaway! Dream Then Do - CFS Release Week with Discount and Giveaway! It is Day TWO of the awesome new release from CAS-ual Fridays Stamps! 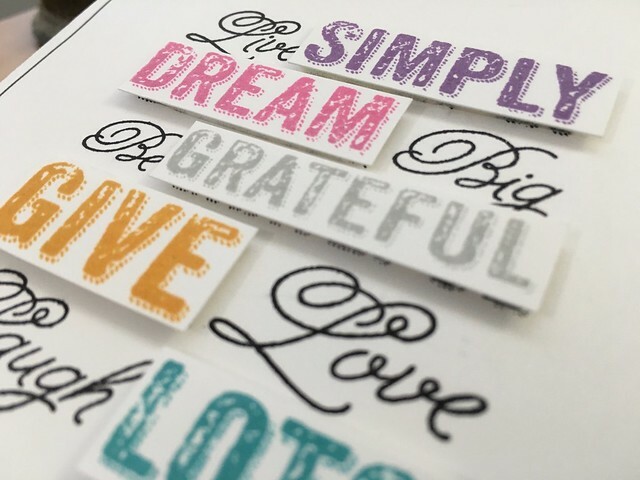 We have a wonderful, encouraging stamp set to share with you today! I think you are really going to love this one! This set is called Dream then Do. It is absolutely STUFFED with absolutely fabulous, inspiring sentiments that stand as focal points on a card SO well! The fonts on this set? Umm... yes! I love them! I had some fun with some color on this one! I feel like this set was just MADE for this kind of card design. I think a couple of my team mates thought so, too! 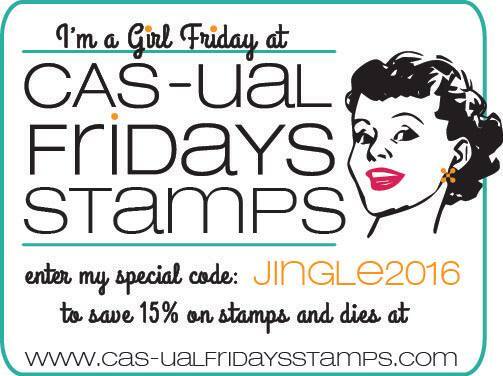 You simply MUST check out the CAS-ual Fridays Stamps blog to see the various ways people have rocked these stamps! Isn't it FUN?! And this isn't even it, folks! We have MORE coming at ya later this week! Be sure to stop by each day! And don't forget to head on over to the CAS-ual Fridays Stamps blog to enter to win this stamp set! And, if this release inspires you to do a little shopping, be sure to use the code JINGLE2016 for 15% off your order! WOOT! WOOT! We were so on the same page with this! I love your more muted colors.....and the line border too! Oh what a great card--one of my favorites of yours! In awe!! Really like the way you stamped the words in different colors and then popped them up off the card. Beautiful! !